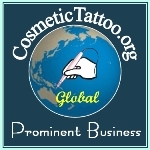 Here you will find general consumable supplies that are frequently used by Cosmetic Tattooists during a procedure. These bags are ideal to if you want to make up your own aftercare kits. Minimum quantity for "Aftercare Bag (White)" is 10. Minimum quantity for "Aftercare Cream Containers" is 10. Convenient pack of 80 high quality large perfume free Baby Wipes. Bepanthen Antiseptic Cream - 100g perfect for tattoo aftercare. Convenient Small 28ml No Sting Spray Bottle. It is 'Best Practice' to provide all clients after-care materials to assist them with the care of their Cosmetic Tattoo, our kits make it easy for you. Minimum quantity for "CT Shop Aftercare Kit" is 10. Minimum quantity for "Dappen Dish (Disposable)" is 10.